Founded in September 2014, International Aviation Support in various forms is active since 1981. The company relies on decades of experience of its employees and it maintains a worldwide network in the aviation industry. 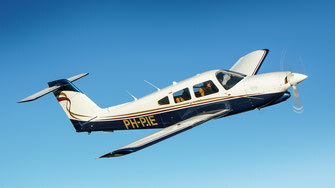 With our headquarters based in the Netherlands we offer our aviation services to a wide variety of customers. Whether it is a private Cessna 172 owner or a commercial operator with a fleet of 20 aircraft, International Aviation Support has a tailor made maintenance, management and service package covering all the needs of today’s most demanding customer. 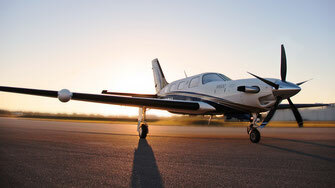 All our mechanics hold an EASA and/or FAA aircraft maintenance license. 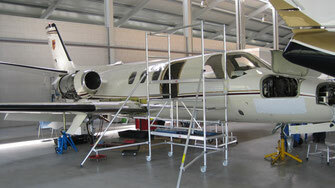 Combined our mechanics have over 150 years experience in aircraft maintenance on types both large and small. This ensures optimal flexibility, fast turnarounds and always someone around to answer your questions. Our two modern 2.000 square meter (21.500 square feet) hangars in Teuge and Lelystad can accommodate aircraft up to Airbus A321 and feature all necessary facilities to provide our customers with first class maintenance. In the adjacent offices our planners and CAMO engineers make sure that everything is ready when an aircraft comes in for a check, repair or major modification. Our stores area houses over 5.000 partnumbers and 100.000 individual parts. In order to shorten the average turnaround time per inspection we hold not only the most common parts on stock but we also have those hard to find parts or parts with long lead times on our shelves. Even if we don’t have a part on stock, we usually have any part available within maximum 48 hours.